Create custom goals by week or month over any time period using any combination of metric and dimension (e.g. Organic Traffic). 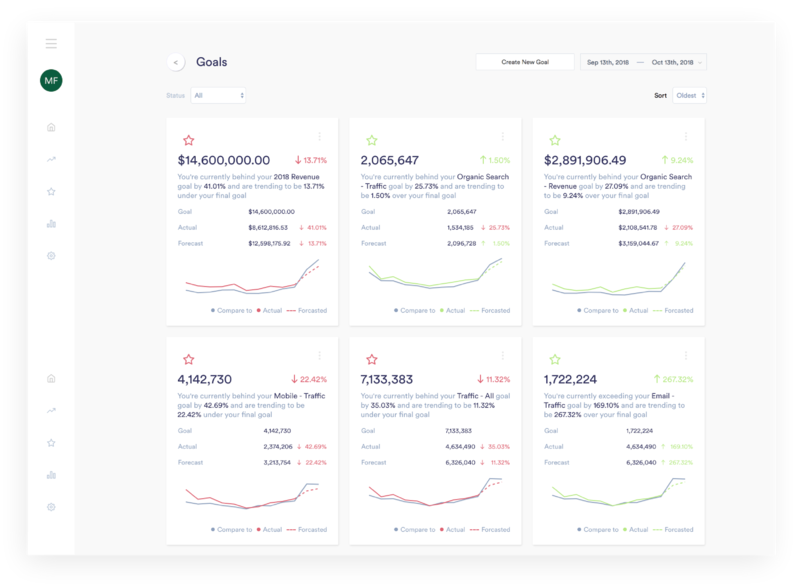 With this, Elevar forecasts your projected goal value by milestone (e.g. month) and overall goal period (e.g. 2018). This allows you to navigate with large trends in your business. Elevar eliminates repetitive manual reporting. 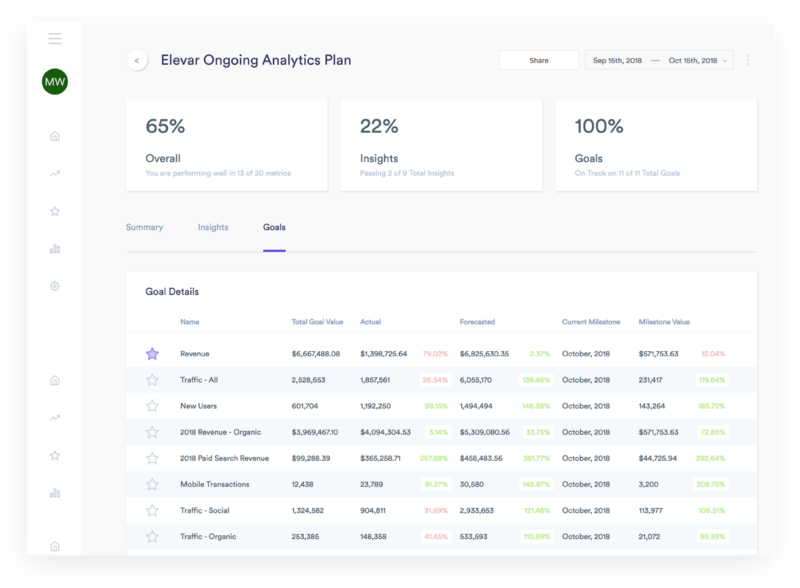 Configure your goals once — for example 2018 Revenue or Mobile Email Transactions — and let Elevar handle the ongoing reporting of historical data. Plus you get the forecasted trend for the rest of your goal period. What is our growth by channel? How are we performing against goal? How is the latest campaign performing? These are some of the questions that Elevar will help answer for you along with easy access to detailed insights to share during your weekly meetings. You are not limited by unique data to your brand. You have the ability to create any custom forecast using one or more combinations of Google Analytics dimension and metric data. Use forecasting to align on strategy and keep ahead of competition.